The Giza Plateau: ('Ghiza', 'Geeza'). The 'Great' pyramid of Khufu. The Great puzzle of Giza. 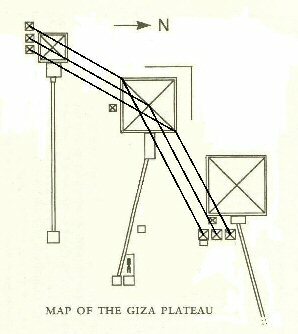 (Full descriptive analysis of the Giza plateau and the Great pyramid). 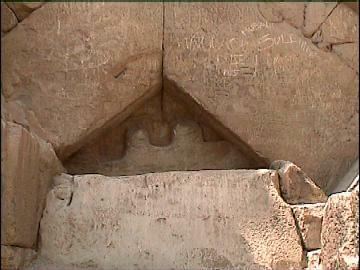 Evidence of Geometry at Giza. Evidence of Astronomy at Giza. Beneath Giza: A Review of the Facts. When was the Giza complex constructed? Who constructed the Giza complex? What was the purpose of Giza? The Giza Plateau: Who built it and When. The Giza plateau is one of the most enduring prehistoric monuments in the world. It is home to the three great pyramids (Those of Khufu, Khafre and Menkaure), and at least six others as well as several other prominent structures including the great Sphinx and the Valley temple. Recent Carbon-14 dating results indicate a period of construction from between 3,800 and 2,800 BC (2), a time-frame which is considerably earlier than is currently claimed by Egyptologists (Official estimates still vary from year to year around the region of 2,650 to 2,450 BC). If these dates are confirmed in future sample-testing, Egyptologists will be forced to consider the re-appraisal for the dates ascribed to 'Proto-dynastic', 'Pre-dynastic' and Early Dynasty cultures (As suggested by Manetho, Petrie, Lockyer and others). The 1984 "David H. Koch Pyramids Radiocarbon Project" took organic material from several places in the core of the Great Pyramid as well as other 4th Dynasty pyramids and locations so as to try and date their radiocarbon. This yielded results averaging 374 years earlier than the date accepted by egyptologists but much more recent than 10,000 years ago. A second dating in 1995 with new but similar material obtained dates ranging between 100-400 years earlier than those indicated by the historic record. This raised interesting questions concerning the origin and date of the wood. Massive quantities of wood were used and burned, so to reconcile the earlier dates the authors of the study theorize that possibly "old wood" was used, assuming that wood was harvested from any source available, including old construction material from all over Egypt. It is also known that King Sneferu imported wood from Lebanon. 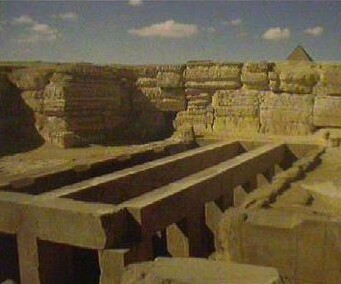 Project scientists based their conclusions on the evidence that some of the material in the 3rd Dynasty pyramid of Pharaoh Djoser and other monuments had been recycled, concluding that the construction of the pyramids marked a a major depletion of Egypt's exploitable wood. Dating of more short-lived material around the pyramid (cloth, small fires, etc) yielded dates nearer to those indicated by historical records. The authors insist more evidence is need to settle this issue. This study does not sufficiently address key anomalies in its findings, however - mainly how and where the Egyptians were able to obtain literally tons of 100-400 year old dead wood. Even preserved in a desert climate, finding forests of such magnitude comprised of ancient dead wood would be a phenomenon in and of itself. It is believed Egypt's climate would have only been able to support such a forest (though there is no evidence of one having existed at the time being largely grasslands) at the latest only prior to 4,000-6,000 BC. For this to be true an entire revision of Egypt's climatic history would be required. When considering the data, what is shown is the radio carbon of the pyramids yielded dates ranging from 100-400 years earlier than the "historical record", yet the signs of last casual occupation, ie. cloth, small fires, etc, have given dates much closer to what is expected from egyptologists. Instead of requiring a revision of Egypt's climatic history based solely on the fact these dates do not support accepted theory despite supporting climatology data to the contrary, it is equally possible that what the study suggests is true--that the pyramids are indeed older (if only by 100-400 years) than what is currently believed. Discoveries at Ghiza from before the 4th dynasty. 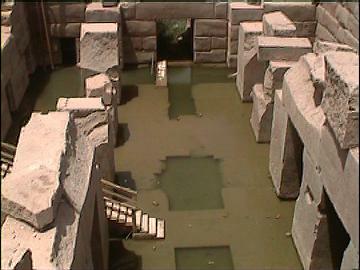 Set against the context of the 4th Dynasty development, the destruction of Pre-dynastic and Early Dynastic artefacts within the Giza necropolis is an important consideration. 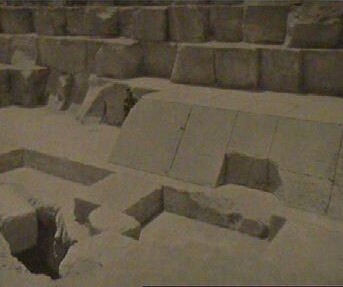 In the mid 1970's, Karl Kromer, investigated one such area of debris, approximately one kilometre south of the Great Pyramid. (48) Within the fill, Kromer reported finds from the Late Pre-dynastic, 1st, 2nd and 4th Dynasties. We can be certain from this that Giza was occupied before the fourth dynasty. Although we cannot see it today, the Giza plateau remained essentially as it was built for thousands of years. The level of skills demonstrated there were so high that for a long time it was believed that the pyramids were 'divine creations' made literally by god. The debate today centres around the family of the Fourth dynasty Pharaohs in particular who, whilst no longer being doubted as having a strong association with the complex, present themselves to us so suddenly and uniquely as to cause us to search deep within ourselves to explain the origin, nature and purpose of these people. The Fourth dynasty pharaohs are currently believed to be the result of an extremely rapid and dramatic rise to power in Egypt, following unification around 60 years before. This centralisation apparently initiated the development of several seemingly instantaneous sophisticated skills in the process. The development of all the large 'Heliopean' pyramids occurred over this same period of time and it is interesting to find that records suggest that at this very same time Egypt was 'overcome' by an immigration of people 'Shepherd folk', from the east. We know that the pyramids of Giza are correctly attributed to Khufu, Khafre and Menkaure (Khufu’s son and grandson), from the numerous discoveries of cartouches and seals bearing their names. 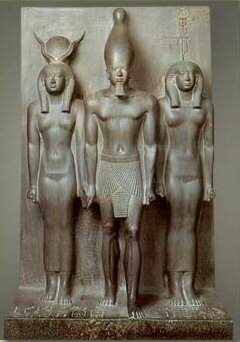 Statues of Menkaure (left) and Khafre (right), both found in their respective 'Valley temples'. 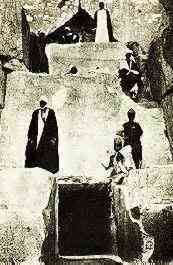 (Note: Khafre's diorite statue was found buried upside down). While there are numerous recorded discoveries of cartouches and statues of both Khafre and Menkaure at Giza, proof of Khufu's involvement at Giza is noticeably absent. Khufu: This is the only cartouche, (And therefore the only direct evidence of Khufu's involvement with the Great pyraimd). This cartouche (right), was found on the southern roof blocks of Campbell's chamber in the 'Great' pyramid, as was another cartouche which is translated as 'Khnum-Khuf', found on the south wall of 'Lady Arbuthnot's' chamber (10). 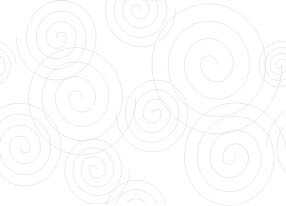 The same two Hieroglyphs have been found alongside each other elsewhere in Egypt. A situation which has generated speculation over their meaning. 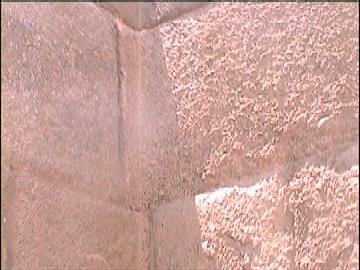 Petrie said of this situation: 'The only great royal inscription (of Khufu) is on the rocks of Sinai. There are two tablets: one with the name and titles of Khufu, the other with the king smiting an enemy, and the name Khnum-khufu The name is found in five places The two names being placed in succession in one inscription cannot be mere chance variants of the same. Either they must be two distinct and independent names of one king, or else two separate kings. If they were separate kings, Khnum-khuf must have been the most important. The Oxford History of Ancient Egypt (1), states that Khufu's full name was "Khnum-Khufu" which means "The god Khnum protects me." However, Fix (11), pointed out that while the 'Khnum-Khufu' inscription occurs more frequently than Khufu's, the name does not appear on any of the Kings-lists. In 1955, two dismantled wooden boats were found buried beside the Great Pyramid beneath stones bearing Djedefre's name (Khafre's brother). The sarcophagus and funerary furniture of Queen Hetepheres I, the mother of Khufu, was discovered in 1925 near the satellite pyramids of the Great pyramid in shaft G700X of a pit tomb. It was in good condition and most of the contents were intact. Although the sarcophagus was sealed, and the canopic jars were intact, Hetepheres' mummy was missing. These are the oldest examples of canopic jars known. While there is little debate at present over who built the pyramids, there is a visible change in the design and quality between the the first dynasty and the fourth (Such as Flat sided pyramids, Cardinal orientation, Polar passages, Lack of adornment and funerary remains). The combination of these particular construction features have no precedent in Egypt and it is worth looking at the source of the historical record which suggests an immigration into Egypt at this time of a people as yet unidentified beyond their title of 'Shepherd Folk'. The sudden and rapid expansion from pre-dynastic Egyptians into the sophisticated creators of the Ghiza-plateau has been likened to our modern space program or the computer revolution (2). The following interpretation adequately describes the now famous conversation between Herodotus and Manetho. - 'In the course of his questioning he (Herodotus) encountered one Manetho, an Egyptian High Priest, scholar and Historian, with whom he conversed at length thru the agency of an interpreter. Manetho informed his distinguished guest that the architect of the huge mass of stone was one "Philition", or "Suphis", of a people known as the "Hyksos", that is "Shepherd Kings". According to Manetho, the Shepherd Kings were "a people of ignoble race" who came from some unknown land in the East; they were a nomadic band who numbered not less than 280,000 souls; they brought with them their families and all mobile possessions, including vast flocks of sheep and herds of cattle; and they "had the confidence to invade Egypt, and subdued it without a battle". this same people, said Manetho, overthrew the then-reigning Dynasty, stamped out idolatry and endeavoured to firmly establish in the place thereof the worship of the One true God having completed the Great pyramid, migrated eastward into the land afterwards known as Judea and founded there the city of Salem, which later became Jerusalem, the Holy city.' (12) (It is noted that although Manetho is a proud Egyptian, he still stated that the pyramids were built by foreigners). Who were the Shepherd folk? It is noticeable that following the fourth dynasty, all the 'newly acquired' skills of the previous dynasties appear to become lost. The Giza Constructions: An Overview. 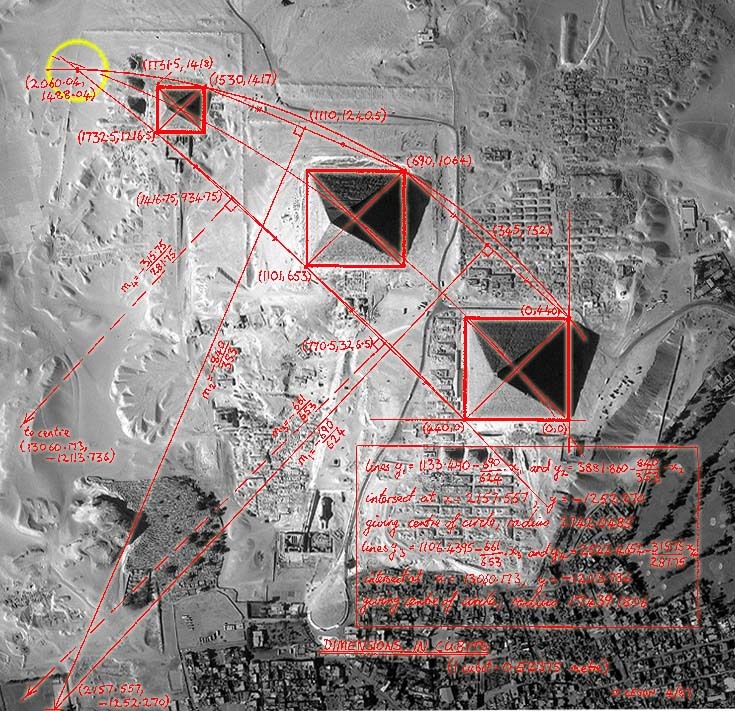 There are nine pyramids visible on the Giza plateau today. Several constructions on the Giza plateau were built under the auspices of the Fourth dynasty pharaohs Khafre, Khufu and Menkaure. This has been firmly established through the historical record and subsequent discoveries of cartouches at the site. However, the discoveries of cartouches and funerary evidence from earlier dynasties (see above), clearly suggests that parts of the the site may have been re-used, and it is a reasonable assumption that some structures were already present at Giza when the large-scale works of the fourth dynasty began. 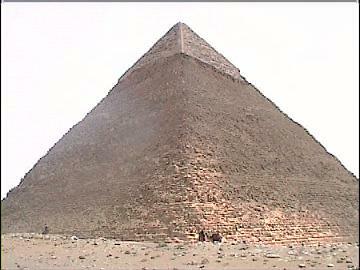 The traditional theory is that Giza was built as a funerary complex for the 4th dynasty pharaohs. However, the lack of contemporary human funerary remains from any Egyptian pyramid and the obvious astronomical and geometric nature of the site, imply that the 'pyramids as tombs' theory is no longer sufficient and a broader definition of both Pyramids and Giza is now required. 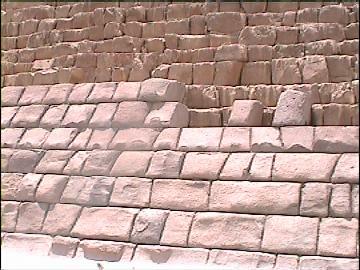 While it is true that most of the construction features at Giza can be seen in the preceding pyramids of the third dynasty, there are several features which are completely unique. 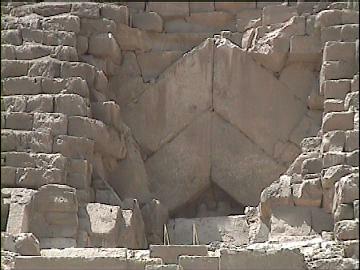 Both the pyramids of Khufu and Menkaure share the same 'star' shape (left). This design is noticeably absent in the pyramid of Khafre, central to the whole complex. 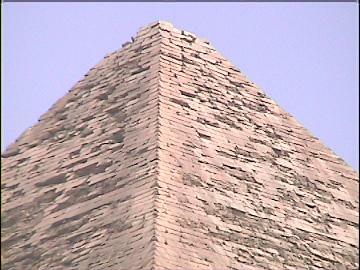 The Flattened surface of the pyramid is seen in the pyramids of the third dynasty, but nowhere was granite used for the exterior except for Menkaure's pyramid. 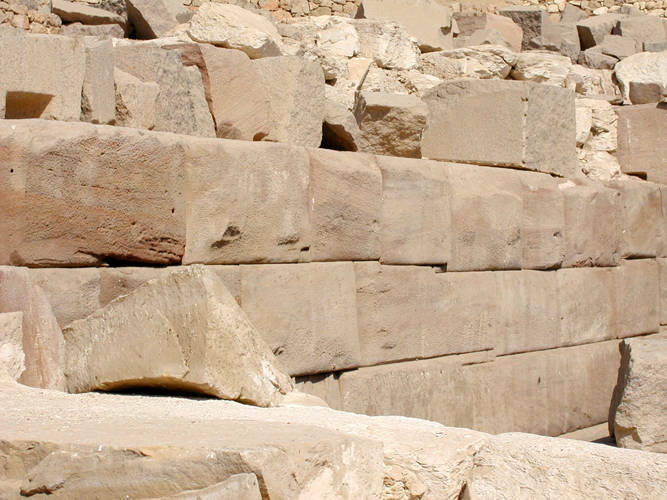 According to Herodotus, this casing of 'Ethiopian stone' extended for half the height of the pyramid. 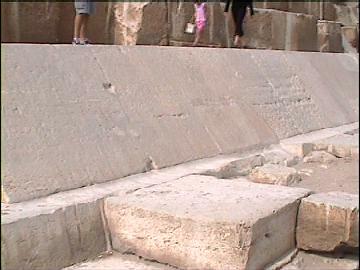 The so called 'Star-shafts' are unique in any Egyptian structure before or after. Their purpose is still only speculative. The two shafts from the 'Queens' chamber were built in place with their ends unfinished, and therefore invisible. 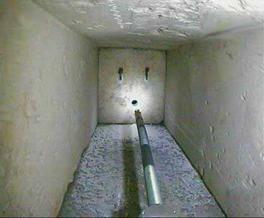 The upper ends of the shafts terminate with 'doors' which have so far only yielded controversy. The 'Great' pyramid of Khufu (Cheops, Shoufu) - Son of Snoferu. Khufu's pyramid official name was 'Khufu belongs to the horizon': The exterior angle of Khufu's pyramid is 51° 51', which in geometric terms is (360/7) x 4. This same angle is seen in the angle of the avenue leading from Stonehenge, and the angle from Avebury to the 'Sanctuary'. Very few photos do justice to the mountainous effect of the pyramids. The Giza pyramids were all built with simple horizontal rows of blocks - In the case of the great pyramid an estimated 2,500,000 with an average weight of 2.5 tons each. The pyramidion or Ben-ben is missing from the top and has never been reported. 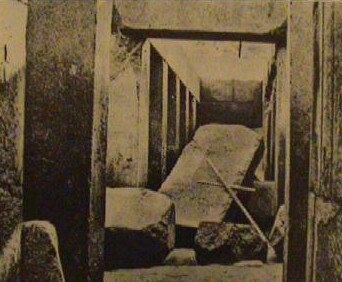 The 'original' entrance: All of these stones were hidden in its original form. 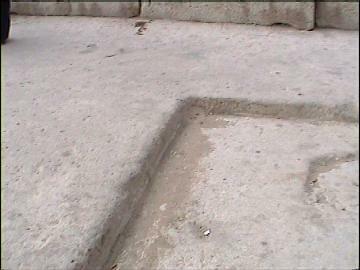 The original entrance was reported as having a pivoting stone similar to those found at other contemporary pyramids. 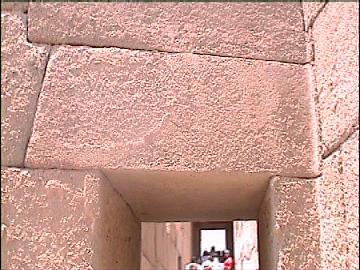 (Note the carved symbol over the lintel is said to represent 'The infinite horizon'). 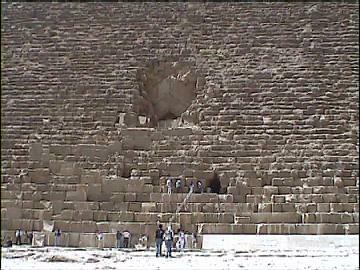 (The Great Puzzle of Giza): Full analysis of the Great pyramid: When, Why, Who, How.. etc etc. The pyramid of Khafre (Chephren) - Son of Khufu. Khafre's pyramid stands equal in height to the great pyramid, although it is actually smaller - this is due to its being built on higher ground. 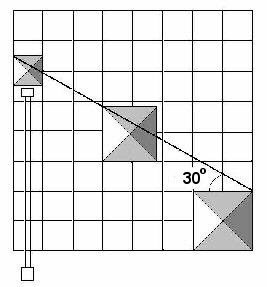 The angle of slope for 'Khafre's' pyramid is achieved as a result of a 3:4:5 triangle. (As is the King's coffer in the Great pyramid). 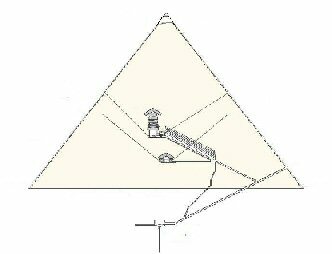 Although the majority of books discuss the 'mysteries' surrounding the 'great' pyramid, Khafre's has certain features that make it equally unique. Not only does it sit at the geometric centre of the site, it is also attached to the Sphinx by a causeway, although this causeway runs over other tombs suggesting it was a later addition. Khafre's pyramid sits at the centre of the Giza plateau, it is attached to the Sphinx by a causeway, the angle of which is 30° off true East. The Pyramid of Menkaure - Son of Khafre, Grandson of Khufu. Although Menkaure's pyramid is the smallest, and was constructed last, it was faced with several layers of granite, which were left unfinished. 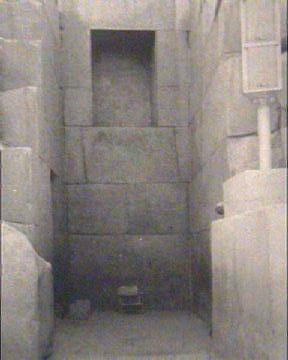 The blue basalt coffer which was taken from the pyramid was lost at sea a year later in 1838. A joint Egyptian/Spanish initiative is currently underway to retrieve it. 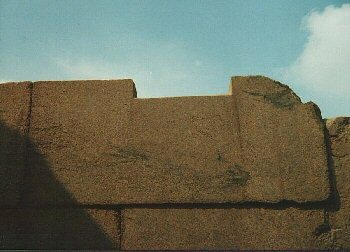 (Note - The very specific 'protuberances' on the granite blocks seen on the Menkaure pyramid are a common architectural feature in seen in both Abydoss, and in S. America). The Giza plateau is composed of limestone which is characterised by naturally eroded cavities. 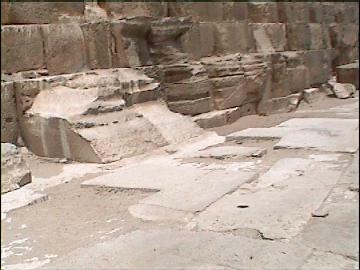 The huge paving slabs can be seen to run under the Khufu's pyramid. Note the visible difference in erosion between the exposed casing stones (above left) and those uncovered last century (above right). The section on the right, has been significantly 'restored' since 1910 (See photo above). 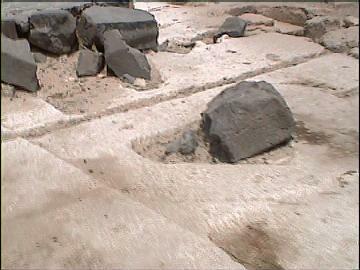 The bedrock of the whole plateau was carved to fit individual stones. This technique was probably included to provide a preventative against movement but also created a surface that was accurate to within optical standards. In 'The Great Pyramid Decoded, Peter Lemesurier writes, "It would be a rash man who undertook to find, even today, a building more accurately aligned to the True cardinal points of the compass, masonry more finely jointed, or facing-stones more immaculately dressed.... the sceptic may doubt that many of the pyramid's stones -- some of them weighing up to seventy tons -- were so finely cut and positioned as to give joints of less than a fiftieth of an inch in thickness'; '...he may scoff at the claim that a fine cement was run into these joints so expertly as to give an even coverage of single areas as big as five feet by seven in the vertical; he may express profound disbelief when it is pointed out to him that the building's now almost totally despoiled original outer casing of polished limestone (all twenty-one acres of it) was levelled and honed to the standard of accuracy normal in modern optical work. But these, as it happens, are facts which anybody may check who cares to'. Certain sections of the pavement were built with a contrasting black basalt. (It looks very much as if 'concrete' or 'cement' was used between basalt rocks). This superb structure is without comparison at Giza. 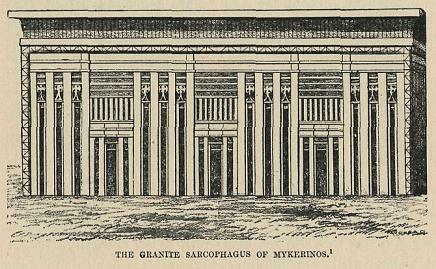 It has no other contemporaneous building in Egypt except perhaps the Osireion at Abydoss (Which shows stark similarities). 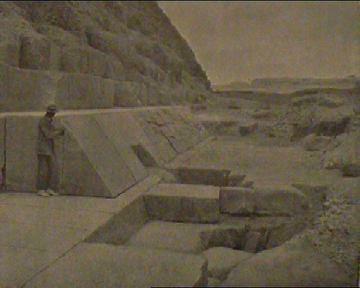 The causeway that leads from Khafre's pyramid leads to the Sphinx on one side, and the Valley temple on the other. The valley temple was constructed with immense blocks of granite, surrounded by a wall of even larger blocks of limestone, the largest estimated to weigh approximately 200 tons. Early shots of the Valley temple. Note the height of the surrounding limestone casing-stones in the photo (above, left). The light-slots running along the top of the Valley-temple are believed to have allowed light to enter at particular times. 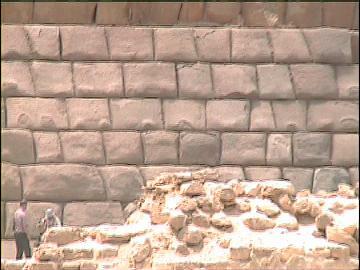 The granite masonry of the valley temple is reminiscent of S. American architecture. As are the multi-facetted stones and the way they were carved to 'fold' around corners. 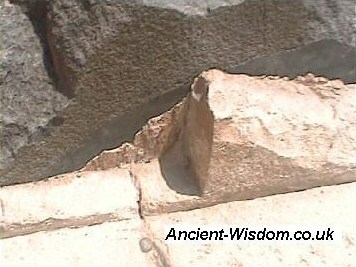 (Similar construction techniques from around the ancient world). The 'Osireion' and the 'Valley Temple': Are they contemporary structures? The two buildings are similar in design and appearance. Both structures are made from large, square, unadorned lintelled pillars. Two rows with five pillars in each, run along the central chamber. Both structures were covered over, and both were associated with the Nile. Of particular interest is the early-dynastic history of the unification of 'upper' and 'lower' Egypt and the primal Egyptian myth of Osiris and Isis, in relation to these temples. These temples suggest a commonality, whilst adhering to the theme of the Isis/Osiris myths. The Osireion is associated with Osiris, and the Valley temple to Isis, his consort, sister and mother. The Ghiza pyramids are cardinally orientated (equinoxially), while the great temples in the south of Egypt such as Karnack, Denderra and The Temple of Seti (Osireion), are orientated to the solstices. 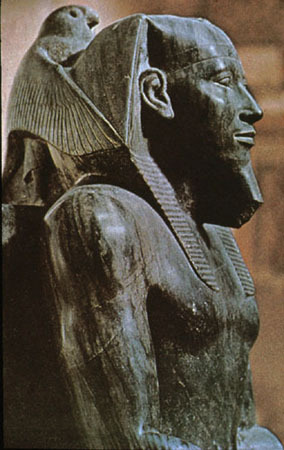 The symbolic act of unification, was not only concerned with the physical boundaries of Egypt, but also the solar year. Both Ghiza and the Osireion show the same techniques of masonry suggesting a contemporary construction. 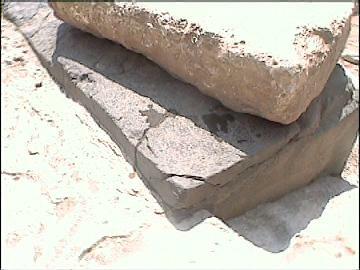 The same 'manouvering protruberances' were left on the otherwise finished blocks of Menkaure's pyramid. Disregarding the implausibility of pure coincidence, there are several basic geometric associations within the dimensions of the pyramid structures that make it hard to ignore the idea that they were not built from an original geometric design. 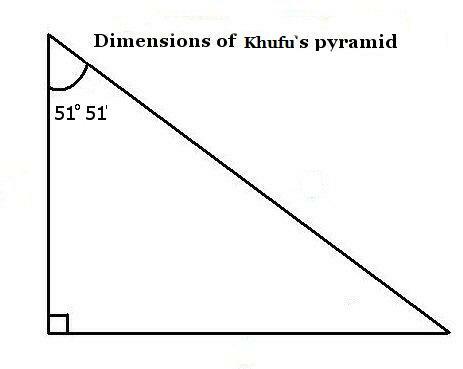 The Geometry of Khufu's Great Pyramid. 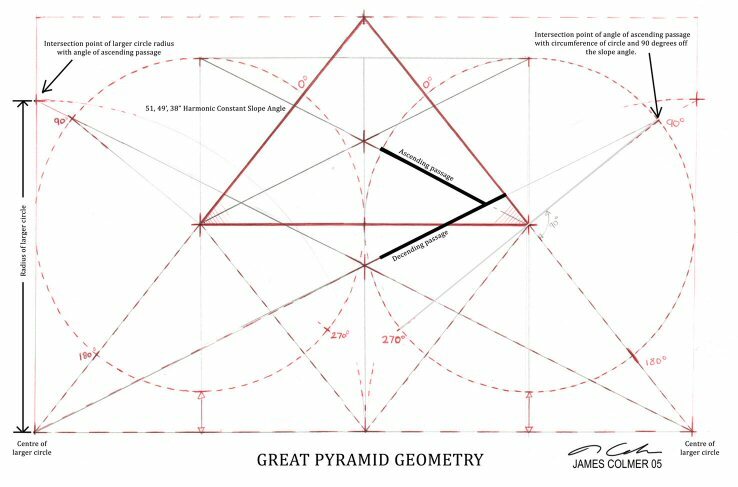 The geometry of the 'Great' pyramid's exterior dimensions. 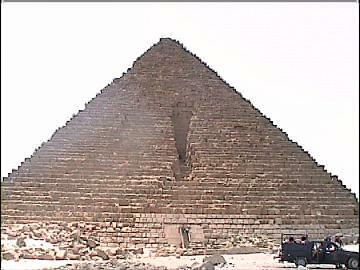 The angle of the Great pyramid extend to the borders of the Nile Delta. 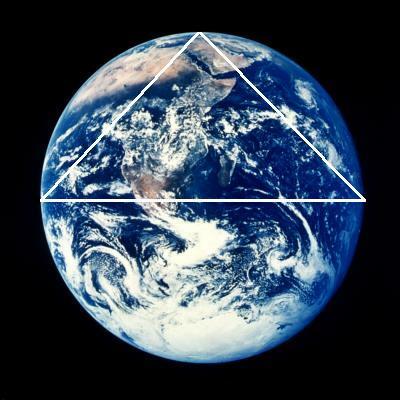 It is a fact (whether through accident or design), that the dimensions of the Great pyramid form an accurate representation of the northern hemisphere of earth. 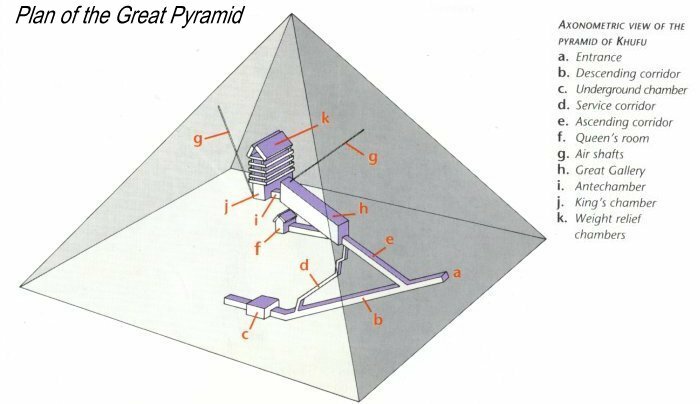 Internal Geometry of the Great pyramid. The 'Kings' Chamber: The walls of the chamber are composed of five rows with twenty blocks on each. No two blocks have the same dimensions. The 'King's' Coffer: The 'kings coffer' in Khufu's pyramid also shows very specific geometry in its dimensions. 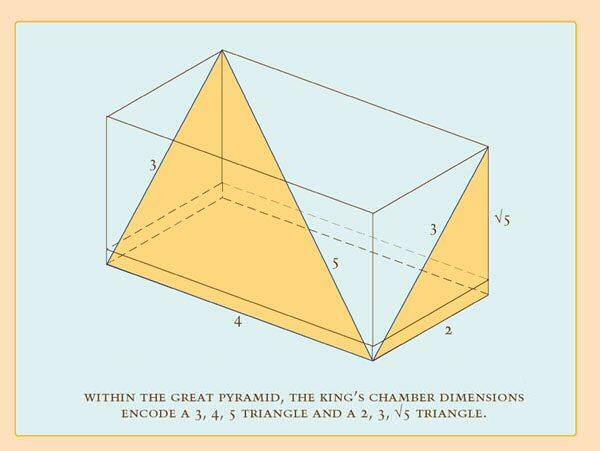 Not only is the volume of the interior equal to half the Volume of the exterior, but the coffer's interior dimensions also demonstrate the application of a 3:4:5 triangle - demonstrating the means for creating the angle of slope for Khafre's pyramid). The layout of the pyramids reveals the application of the 'sacred mean' - a 5:8 ratio. 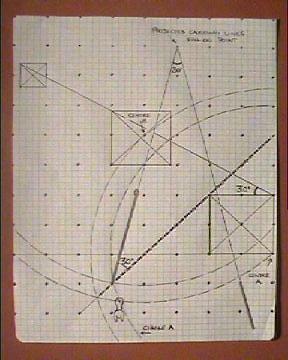 The Geodetic/Geometric Connection between Giza and Stonehenge. It is interesting to note that Petrie determined that the base circuit of the great pyramid measures 36,524 P inches, and that the 35th course, being the course with the largest blocks was laid at a height of 1162.6 P inches, and has a square circuit of 29,220 P inches (The same amount of years for Gods and kings to Amasis II : From Eusibius). The exterior angle of Khufu's pyramid is 51° 51', which in geometric terms is (360/7) x 4 or (4/7th of 90°), which is a highly significant figure as it is the same latitude as Silbury hill, Europe's largest stepped pyramid (c. 3,000 BC), which itself has an exterior angle of 30° (The same latitude as Giza). The same angle is repeated at the avenue leading from Stonehenge, and the angle from Avebury to the 'Sanctuary'. 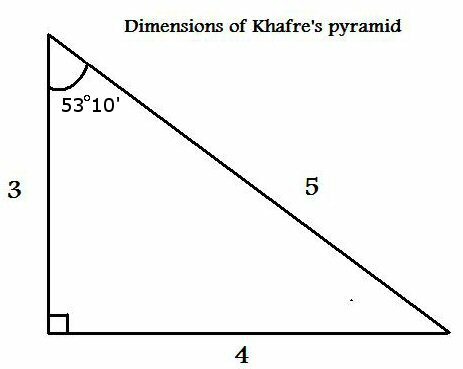 The exterior angle of Khafre's pyramid is 53° 10', which is (almost exactly) angle formed by a 3:4:5 triangle. 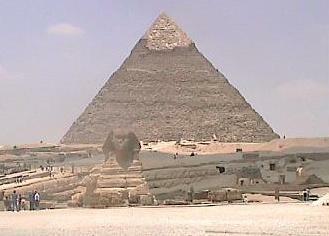 Khafre's pyramid is attached to the Sphinx via a causeway that runs 30° off true East. The exterior angle of Khafre's pyramid is the same as the latitude of Arbor Low, which sits exactly 2° north of Stonehenge. 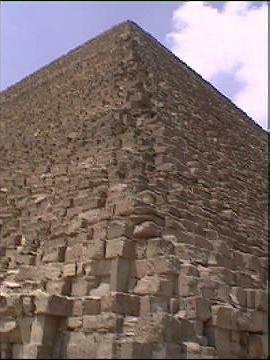 The Giza pyramids show clear corner-alignments between each other. 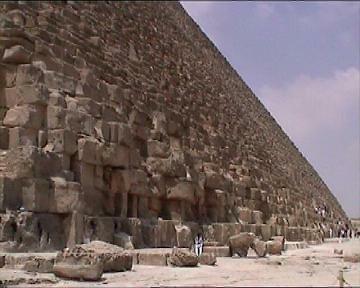 The same alignment of corners has been noticed at other 'Heliopean' pyramids. 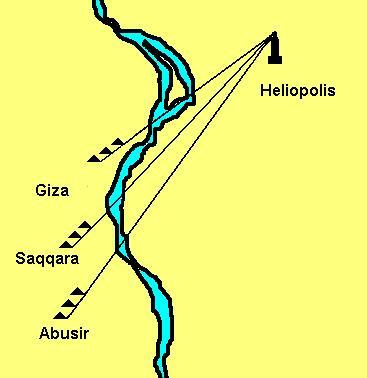 The corners of many 4th and 5th dynasty pyramids align to Heliopolis. Apart from the obvious evidences of astronomy in the 'Polar' passages of the pyramids and the orientation of the Sphinx, Giza demonstrates several other instances of astronomical influences at the time of construction. It is a well known fact that the N/S axis of the Khufu (Cheops) is only 03' 06" to the west of true north, a fact which confirms the levels of skill/accuracy attained by the ancient Egyptian astronomers (and builders). It has been noted that (Through accident or design), the Great pyramid of Giza is a particularly accurate scale model (1:43,200), of the Earth's dimensions. 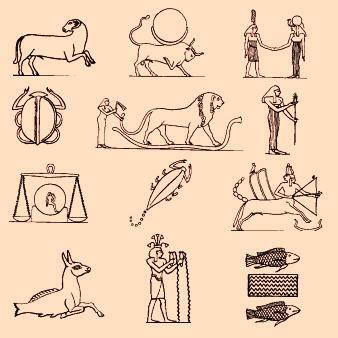 The number 43,200 is a specific 'precessionary' number, one of several that are repeated in Egyptian myth, text and construction. The Precessionary cycle lasts approximately 25,920 years, which results in a new constellation appearing on the horizon each 2,160 years.... and 2,160 x 2 = 4,320 years. The Giza plateau was built on the 30th latitude. It seems unlikely that when combined with the other specific geometric and astronomic figures in the dimensions at Giza, that the site was chosen for its latitude accidentally. The same latitude was chosen by the Persians (Persopolis), The Sumerians, (Larsa), and the Tibetans (Lhasa) for their sacred centres. The Astronomical significance of the three small pyramids next to Khufu's pyramid. Göczey has demonstrated that when the three smaller pyramids were complete, the apex's of their shadows would have cast a 'shadow point' on the Great pyramid at significant times of the year (The solstices and Equinoxes). The YouTube video above demonstrates the procedure in its basic form. 2). M. Lehner. The Complete Pyramids. 1997. Thames and Hudson. 3). D. Davidson & H. Aldersmith. The Great Pyramid: It's Divine Message. 1924. Williams and Norgate. 10). Ian Lawton & Chris Ogilvie-Herald. Giza The Truth. 1999. Virgin Publishing. 11). William R. Fix. Pyramid Odyssey. 1978. Mayflower books. 46). B. Mortensen: 'Four Jars From the Ma'adi Culture found at Giza' in MDAIK 41 (1985), pp. 145-47. 47). K. Bard: From Farmers to Pharaohs (Sheffield, 1994), p. 21. 48). K. Kromer: 'Siedlungsfunde Aus Dem Fruhen Alten Reich in Giseh' in Osterreichische Ausgrabungen 1971-75, Osterreichische Akademie Der Wissenschaften Philosophisch-Historische Klasse Denkschriften, 136.